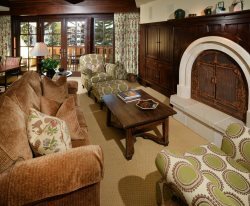 This platinum rated condo is within walking distance to the Vista Bahn Lift in Vail Village. Walnut floors, Wolf ranges, subzero refrigerators and an amazing attention to detail in all the finishes. Gas fireplace, daily maid service. Rated Platinum.